I've started several technology business ventures over the years and I'm not going to stop anytime soon. I'm extremely interested in technology (of course), innovation, serial entrepreneurship and startup models. Sometimes I write on CheFuturo! *. 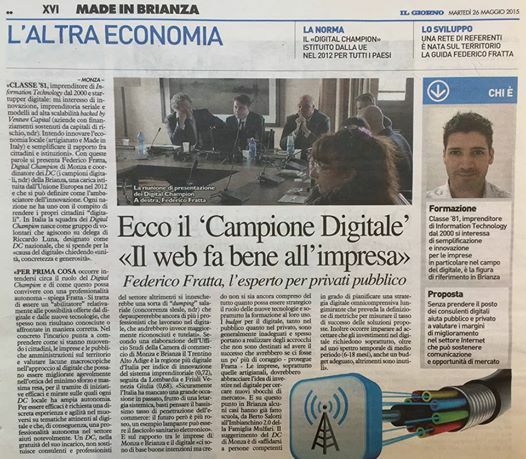 In November 2014 * I've been recruited as one of the first 100 ‘Digital Champions’ by IT Digital Champion, Riccardo Luna. I prefer when newspapers write about me (1*, 2*, 3*), I'm not so photogenic on video interviews* but they insist to make them*. Sometimes I do cool stuff for Monza*, which is my city. I'm one of the 85 top tier italian digital mentors*, you can hire* my expertise for a big smile and some coffee cups. No, as you can see* singing is not one of my skills. 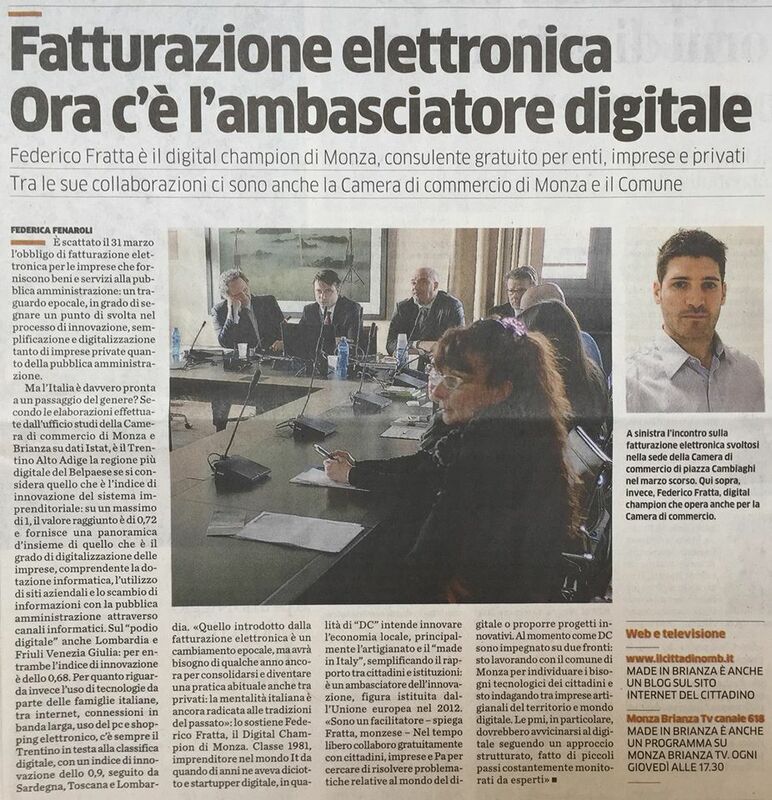 Last but not least, I'm the President of Smart Nation* which is a NPO (non-profit organization) for developing digital culture and stimulating innovation in Italy. Oh, I'm also a fitness entushiast, a Kickboxing Black belt 2nd degree and a Brazilian Jiu Jitsu Purple belt. Yeah, I'm an atypical N E R D.
Email, Twitter ¹, Linkedin ². * link in IT, ¹ read only, ² only in-person intro.